The Philips LFH-3210 SpeechMike III Classic has a 4-position slide switch and intuitive button placement make this USB dictation recorder a popular choice for the clinical professional. 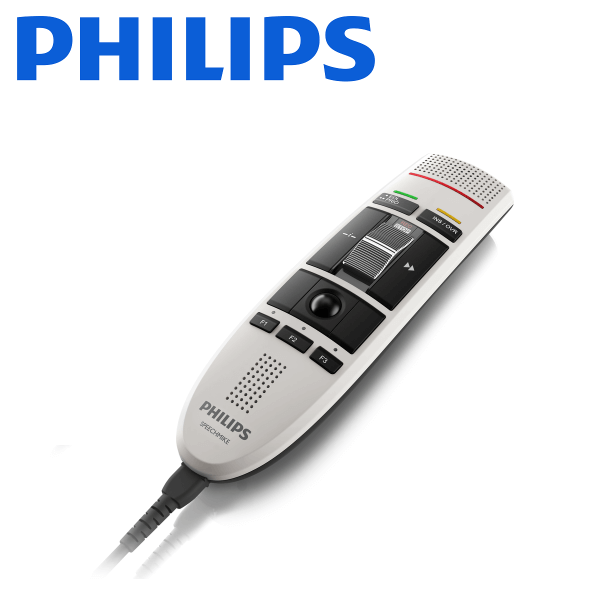 The Philips SpeechMike III Classic LFH-3210 features noise-cancelling capabilities with integrated sound card and speaker, ensuring superior audio quality every time, an antimicrobial surface for increased hygiene in clinical environments, and refined ergonomics for convenient and intuitive handling. 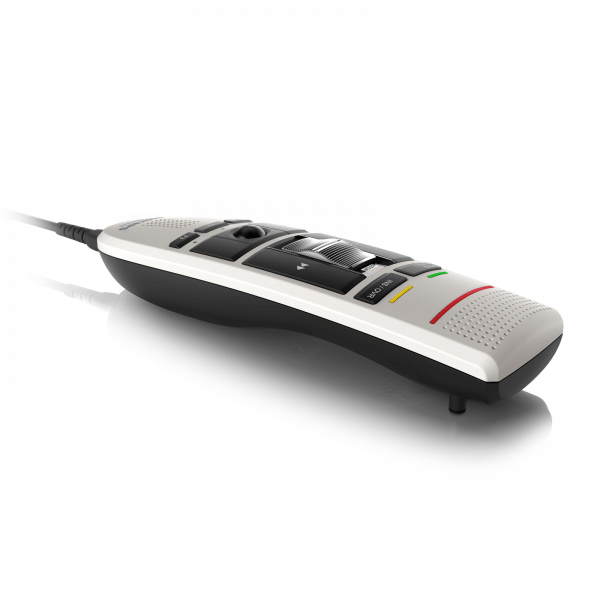 The SpeechMike LFH-3210 features an antimicrobial surface where a substance has been added to the plastic which impedes the reproduction of microorganisms, thus reducing active bacteria and improving hygiene. Poven to be the most comfortable fit in the human hand, the Philips SpeechMike LFH-3210 incorporates 4-position slide switch operation (record, stop, play, fast rewind) with intuitive button placement ensuring the most frequently used buttons are within easy reach, taking stationary dictation to a new level. 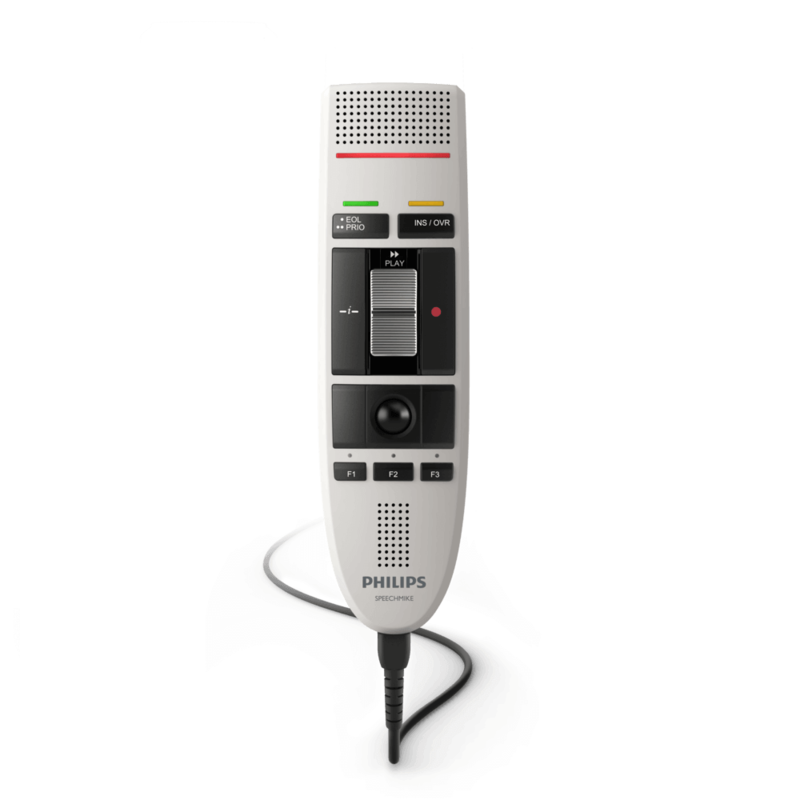 Noise-cancelling microphone for accurate speech recognition results and with an integrated sound card and speaker, you get crystal clear playback every time. The SpeechMike LFH-3210 is designed for Dragon NaturallySpeaking speech recognition software, the voice recognition solution from Nuance, and can be fully integrated into existing workflow systems.